I know. I just made pancakes. It seems I have an unnatural obsession with cake batter. Well I do. When I develop recipes, I try to make all of them for a purpose. We really hate to waste food in this house. Crab cakes for dinner, cake for a birthday party, quinoa as a side dish… it all works out. I get to share it with you and we get to eat it. Then sometimes, I get ideas in my head. Ideas that get me so worked up that I must attempt the recipe and give it a shot as soon as possible, even if it isn’t something we will eat every day. Otherwise, I cannot stop thinking about it. These are the things that keep me up at night. Case in point: it isn’t anyone’s birthday. It’s not even really close to anyone’s birthday. But I don’t need an excuse to eat cake and sprinkles. I believe it should be a daily occurrence. And because pancakes always need some sort of topping, I went with a sprinkled glaze. Because nothing goes better with cake than more sugar! Sure, they would be best for a special occasion like a birthday, but they also work on a random Saturday in January when it’s -2 degrees outside and all you want to see is some sunshine. And you don’t feel like getting on the treadmill, so you decided to eat cake instead. And yes, this means you will have an open box of cake mix, just like you did with the cake batter bark. This is okay. You will manage. Sure, you may find yourself mixing cake mix with odd ingredients, but so what? Mother Lovett always had an open box of cake mix in her pantry. Given hers were usually about 4 years old… but still. Preheat a skillet on medium heat (I use an electric grilled and turn it to 250 degrees). 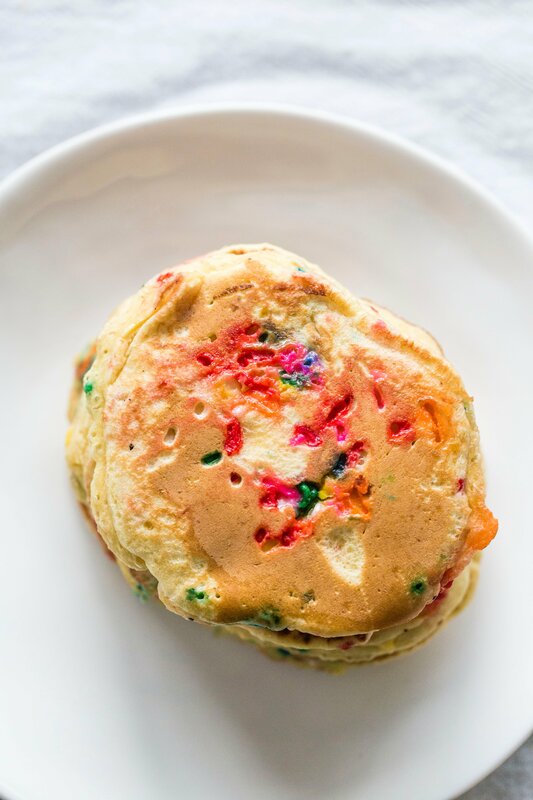 Fold desired amount of sprinkles into batter. Pour batter in 1/4 cup measurements onto skillet and let cook until bubbles form on top, about 2-3 minutes. Flip and cook for 1 minute more. Serve with vanilla glaze. Maybe the secret to choking down broccoli is throwing sprinkles on top? I’ve Always Wanted A Spice Grinder. 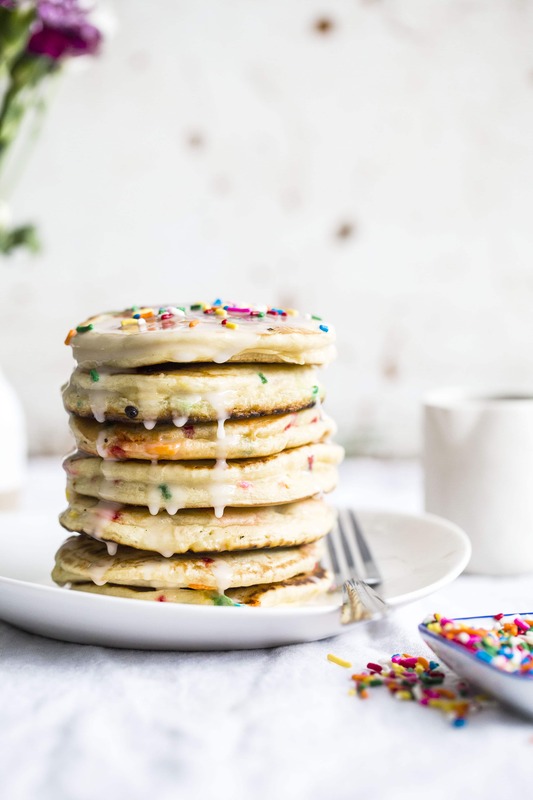 Pingback: 18 Cake Batter Recipes to Try on Your Unbirthday - Snap Tips! thanks for great idea, I ‘ll try do it! I just scroll over the recipe, open email, hit copy then print and email it to myself. A little more work but it does the trick. This is truly lovely, I think any children would like to have it in their party.